As the days pass we get closer and closer towards the official launch of the new Royal Enfield Interceptor 650. Yet again it was spotted again by our reader and fan Magesh Waran while in its final phase of testing, this made us think about its competition. Does the Interceptor 650 even have any competition? Turns out its closest rival is none other than the Triumph Street Twin. While the Interceptor 650 is essentially a 650cc Parallel Twin motor, the Street Twin, on the other hand, is a 900cc Parallel Twin. Given how similar both these motorcycles appear, buyers are going to have quite the hard choice to make. To make that decision easier, here’s a couple of facts to put things into perspective. The Royal Enfield Interceptor 650 makes 47bhp of power @7,100 rpm and 52Nm of torque @5,200 rpm and comes mated to a six-speed transmission, while the Street Twin makes five more horsepower at a total of 52bhp @5,900 rpm and 80Nm of torque @3,230 rpm and comes mated to a five-speed transmission. Though the difference in torque is quite obvious, at least on paper it would seem but the Interceptor manages to gain a slight advantage in the weight department. At a dry curb weight of just 202 kgs, the Interceptor is twenty-three kilos lighter than the Street Twin which weighs in at 225 kgs. Being the lighter one may feel unusual when describing an Enfield, but that’s not all, the Interceptor is also the one with a bigger fuel tank by about a whole liter. The Interceptor 650 is also the wider, taller, but when it comes to length, the Street Twin edges ahead. 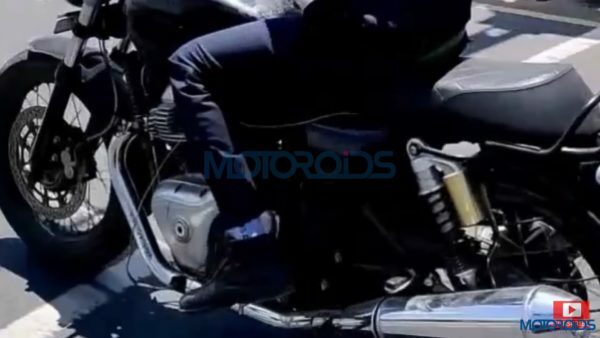 In terms of braking, both these motorcycles are quite closely matched as the Interceptor 650 gets a 320 mm disc brake in the front and 240 mm disc at the rear along with dual channel ABS, the Street Twin, on the other hand, gets a 310 mm disc at the front and a 255 mm disc at the rear. Both these motorcycles come with 18-inch wheels, while the Street Twin gets a 17 inch rear, but it gets the fatter tire at 150 mm as compared to the 130 mm on the Interceptor. Royal Enfield has really thought through their motorcycle this time, so much so that they even gave it a slipper clutch. 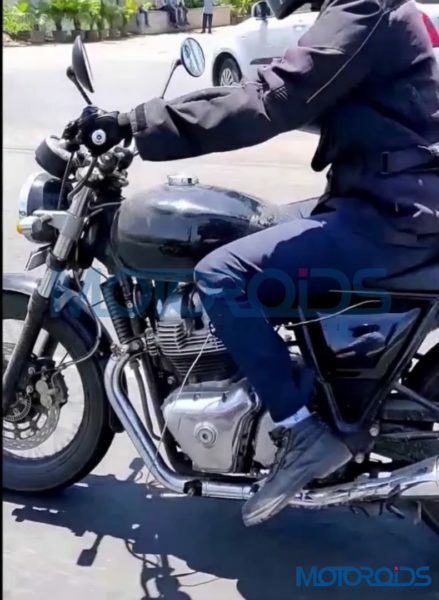 Royal Enfield plans to launch this machine very soon and if our speculations are correct then the Triumph Street Twin has to watch out, as the Interceptor would be quite the bargain for it’s expected price, and would greatly undercut the Street Twin in terms of pricing.